Classic military and law enforcement style at a cost-effective price. 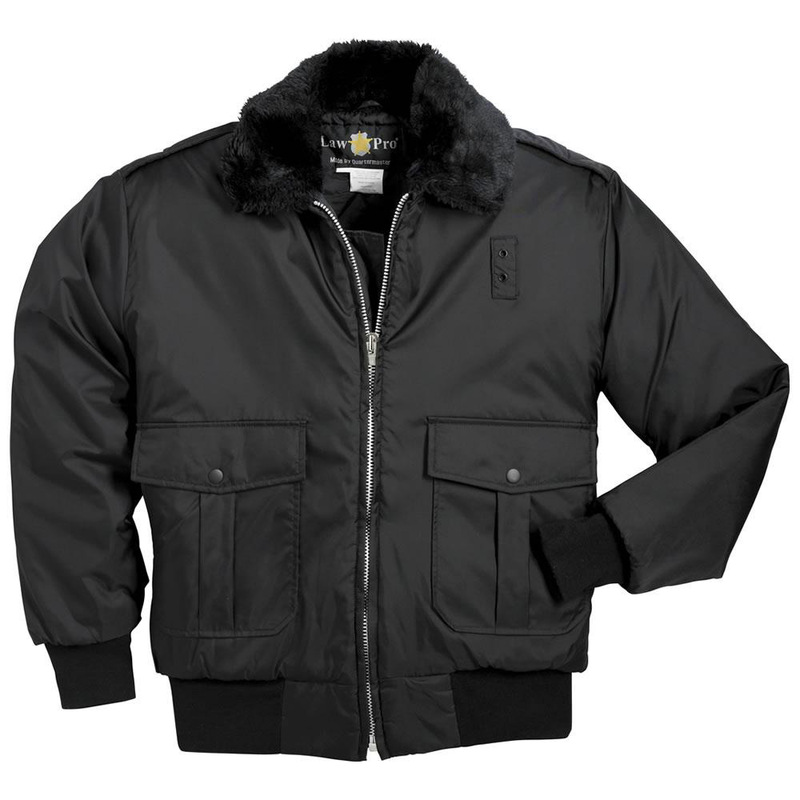 The LawPro Classic Police Bomber Jacket's polyester shell resists water so you stay dry and comfortable for the entirety of your shift. Fiberfill quilted liner offers additional warmth, while reinforced stitching adds to the durability of this outerwear garment. Just got mine; good quality; and warm; and very nice looking jacket. I had a tactical American flag sewed on the left shoulder; very professional looking. Jacket was poorly made. I've had it less than two weeks and the left shoulder strap button has come lose because of the stitching coming undone leaving a hole in its place. Upsetting because it really takes away from my professionalism and my boss is probably going to make me get it fixed. Very warm and comfortable to wear; for that, I love it. After about a two and a half weeks, the right front pocket snap ripped off. After a little more than a month, the right shoulder seam split open. Two stars goes up to three because I bought it on sale for $25. I just wanted a good warm jacket like the cops wear. I ordered this on Black Friday at half the regular price and couldn't be more pleased. It is sized generously, so a L or XL is actually what you think it should be. Can't be beat for warmth, style, and easy care.